Therapy 2.0 is a unique form of therapy that helps children learn from peer modeling. Therapy 2.0 improves social skills and builds one’s self confidence. This type of therapy can supplement a child’s individual therapy session or provide an opportunity for the child to apply and generate the skills they have learned in a group setting with peers who have similar goals. 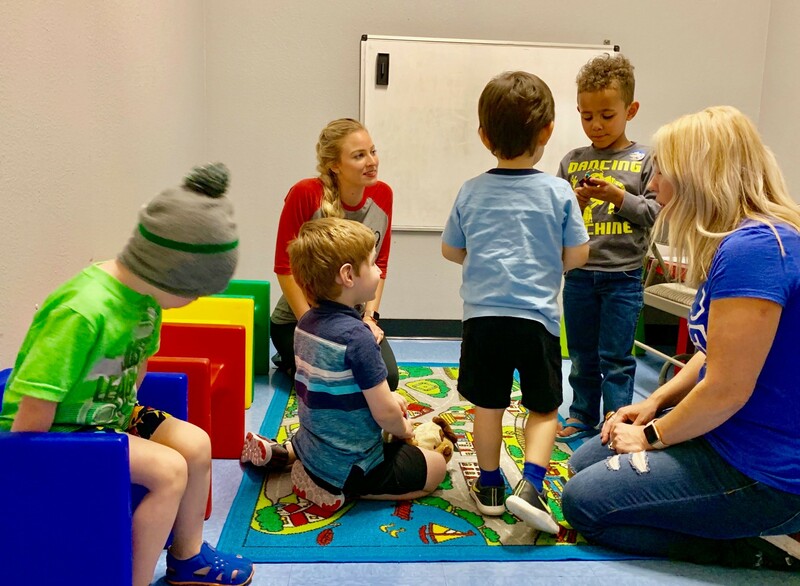 At TEAM4Kids, one or more of our expert therapists cater to the needs of a small group of children or adolescents to achieve common goals together. By interacting with others with similar goals, children will learn new skills with a therapist and their peers to facilitate a positive, enriching environment for all participants. Therapy 2.0 offers a unique experience for children to work with peers in a safe environment that a therapist or parent cannot provide on their own. TEAM4Kids, with its group therapies, aims at fully treating the whole child in every stage of therapy.